People who are serious about weight loss know that they need to reduce their calorie intake and increase their activity. But which activity is most effective? Aim to get at least two hours a week of moderate weight training and two and a half hours a week of aerobic exercise. When it comes to burning calories, however, not all exercises are created equal. Shooting for activities that burn 600 calories an hour will have a real impact on your weight loss. Eliminate 3,500 calories a week and you'll lose a pound of weight. To do this, you can reduce your caloric intake by 500 calories a day, or you can just burn an extra 500 calories a day by exercising. Exercise alone means you may not have to change your diet to see a difference. Put the two strategies together, and you have an accelerated weight-loss plan. Choose the highest calorie-burning exercises available, those that burn 600 calories per hour and beyond, and you'll rocket to your goals even faster. Going to the gym may not seem very interesting, but it's home to a 600+ calorie burner club. 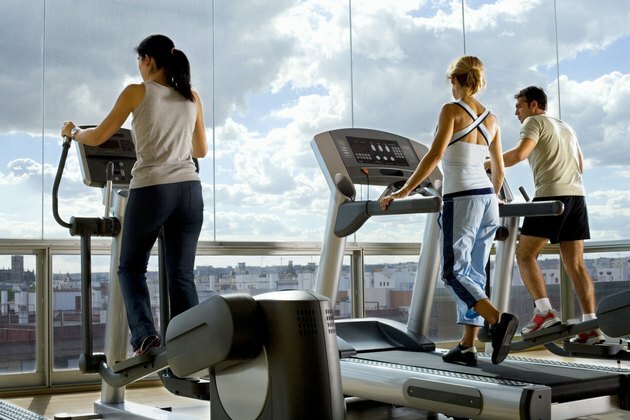 Jog on a treadmill for an hour and you'll burn 675 calories per hour. Run on the treadmill and you'll boost it to 986 calories an hour. Heading for a corner to skip rope may sound elementary, but it burns 730 calories in an hour. Hit the Stairmaster for 60 minutes and you'll burn 657 calories in one hour. If going to the gym is unappealing, trick yourself into burning big-time calories by choosing more exciting activities. Getting outside can burn more than 600 calories fastest. Jump in the pool and swim for an hour and you'll burn 603 calories. Hit the slopes and ski for an hour and you'll burn 740 calories. You'll shred 740 calories if you play racquetball for an hour. And for the ultimate calorie burn that rivals running at full speed, go back to your childhood and stick on some skates; rollerblading burns a whopping 913 calories per hour. The amount of calories you burn depends on your weight and your exercise intensity level. The calorie burners cited here are the estimates for a 150 pound person. But even if you choose a lower-burning exercise, such as walking, bowling or canoeing, all in the 200 calories burned per hour range, you're still going to win. You'll be healthier, you'll be using up more calories than you did before, and you'll feel great. How Many Calories Does One Hour of Aerobic Cardio Burn?